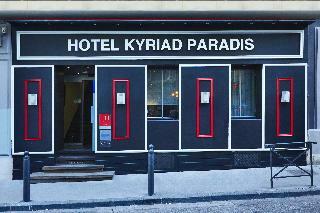 This hotel is located in the vibrant centre of Marseille. It is situated in front of the congress palace. Guests will find themselves just a 5 minutes' walking distance away from Vieux Port, the old harbour of Marseille, Les Catalans beach and the centre of the city. A bus stop can be found close by. 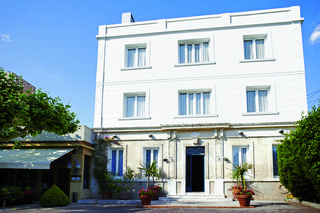 The hotel enjoys a great setting within easy access of the Corniche Kennedy, the town hall and the famous La Canebiere street. Abbaye Saint Victor is just 1.5 km away from the hotel. The old city centre, as well as the Basilica Notre Dame de la Garde, is 3 km from the hotel. This hotel enjoys a modern design. The guest rooms are superbly styled, featuring modern conveniences. 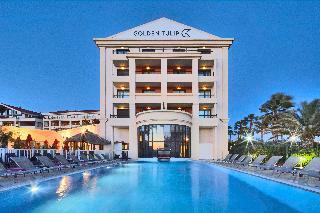 Guests will be pleased by the facilities and services that the hotel has to offer. 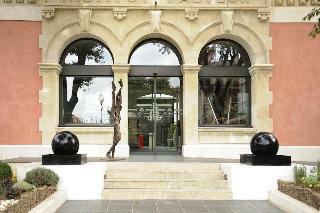 This design hotel is located in central Marseille, just 30 metres from the Old Port. The tourist information office is within walking distance and Marseille Saint-Charles train station is just 1.5 km from the property. Marseille Provence Airport is approximately 20 km from the hotel. This air-conditioned design hotel offers 36 modern and soundproofed guest rooms with the most modern services. All rooms come with an en-suite bathroom and a double bed. There is a cafÃ©, a bar and a breakfast room on-site and guests will appreciate the wireless Internet access. Those arriving by car may leave their vehicles in the hotel car park or garage. Bus/Train station - 0.080 Km. Nearest Bus / Metro Stop - 0.080 Km. Golf course - 11.800 Km. Ski slopes - 214.000 Km.